The Federal Motor Carrier Safety Administration (FMCSA) has extended the comment period for its advanced notice of proposed rulemaking (ANPRM) for potential changes to hours-of-service (HOS) rules. FMCSA extended the deadline for the submission of comments from September 24 to October 10 on the request of organizations such as the American Trucking Association, the Commercial Vehicle Safety Alliance, the International Brotherhood of Teamsters, the National Pork Producers Council, and the National Tank Truck Carriers, Inc. Comments may be submitted at the Federal eRulemaking Portal, where users can follow the online instructions for submitting comments. Use docket number FMCSA-2018-0248 to submit comments. In addition, stakeholders have the opportunity to offer input during three listening sessions scheduled across the country. Reinstating the option for splitting up the required 10-hour off-duty rest break for drivers operating trucks equipped with a sleeper berth. 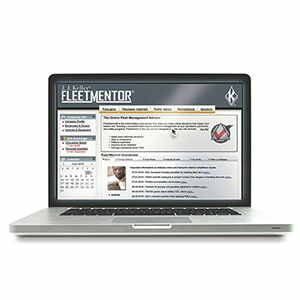 J. J. Keller® FleetMentor® is the online toolbox and advisor that will help you cover all areas of the CSA BASICs.